Engineering EXPO is an opportunity for all students to get exposure to STEM fields and inspires the engineers of tomorrow! 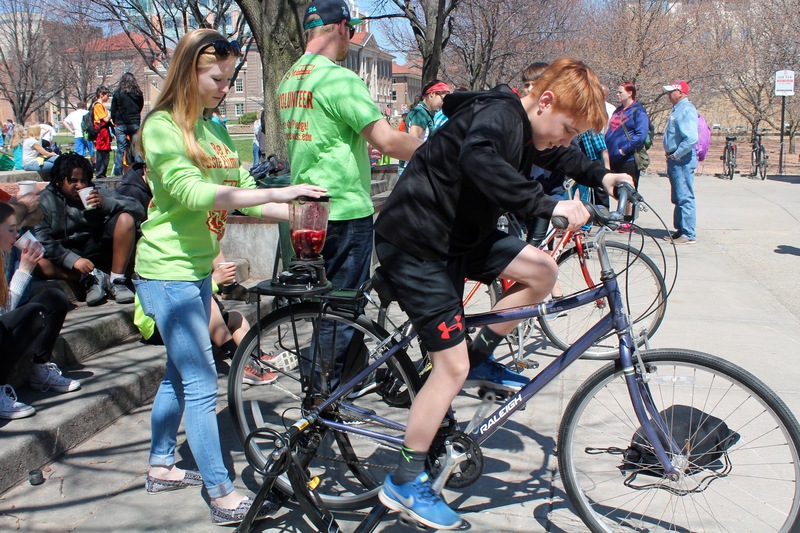 A student powers a blender to make a smoothy by pedaling a bicycle! Students snap a photo in front of the Madison PD S.W.A.T. vehicle! Engineering EXPO at the College of Engineering at the University of Wisconsin–Madison is a two-day exposition that encourages students of all ages to explore the fields of science and engineering. 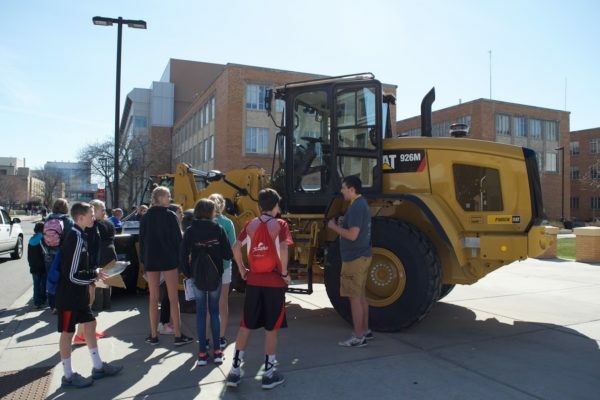 EXPO invites your class to join us for keynote presentations and demonstrations, competitions and a multitude of exhibits showcasing what engineering is all about. 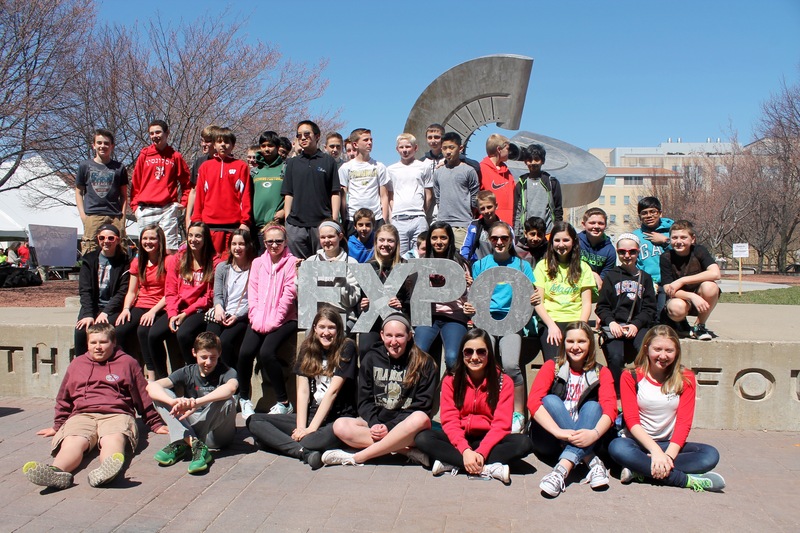 This year Engineering EXPO is free for all students and chaperones! Engineering EXPO School Registration has been completed for the EXPO 2018. If your school group is interested in attending in the future, please fill out some quick contact information using the link below. Registration begins in October and November. If you are interested in being contacted for registration please fill out the following google form! Checking in: The EXPO team and volunteers will be checking in schools on Friday morning. Teachers and chaperones will receive maps, scavenger hunt materials and directions on where to take their students. Lunches: The EXPO team is unable to provide lunch storage space. We will have space out on the Engineering Mall Lawn that will have a tent where you can set your lunches. The EXPO team is not responsible for the security of the lunches. If possible, we recommend students bring their lunches in a drawstring backpack. Injuries and lost students: The EXPO team has a medical table in front of Engineering Hall, where certified students will have first aid kits to tend to any minor injuries. Due to the volume of students at EXPO, we have set up a lost student table as part of the medical table. All EXPO team members will work together if a student is lost from their group or can not be accounted for. Teachers/chaperones should check the lost student table first if they realize they are missing a student in their group. This year our EXPO is primarily focused on 4th to 8th graders. 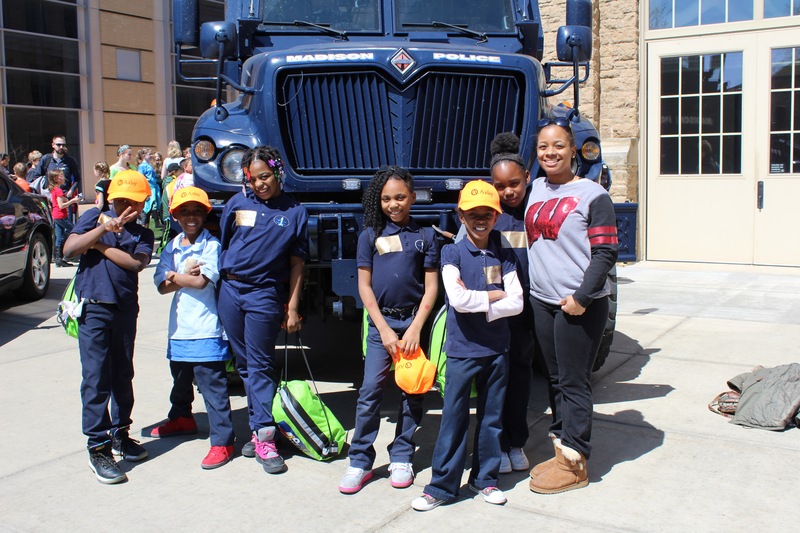 Please contact us with any questions or concerns that you may have via email at schools@engineeringexpo.wisc.edu. We hope to see you at Engineering EXPO 2019! Please contact schools@engineeringexpo.wisc.edu if you have any questions. EXPO is open to the public for free on Saturday, April 6th and registration is not required.